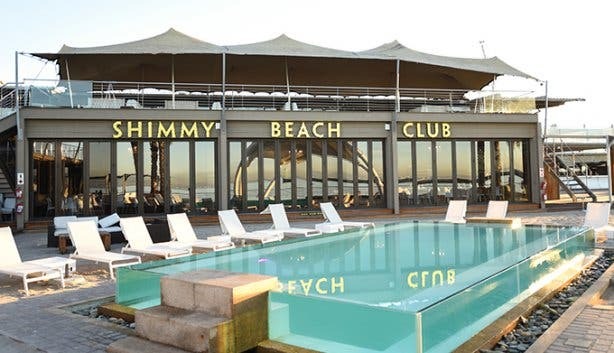 For a hot oceanfront outing, there’s no cooler place to be than the excellently positioned Shimmy Beach Club. 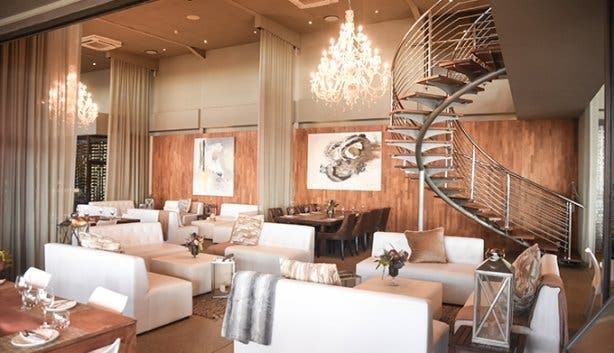 Boasting a fine dining restaurant, multiple bars, and a sprawling deck leading down to a private beach, the premier venue provides Cape Town with plenty of space to play. A beefy Hummer draws my attention as I walk up to the entrance of the beach club. Next to it a matte-black Bentley Continental GT sits elegantly – both branded, both Shimmy’s mascots. Music can be heard from behind the Mexican-antique doors that reach from the ceiling to the floor. As I walk in, visibly taken aback by the grandeur of the seaside eatery, the maître d' wastes no time coming to my aid. Within moments I am taken from the front of house to my table on the restaurant’s deck. Young children are splashing about playfully in the pool, while their parents have reclined their wooden loungers and are melting away in the summer sun. The cool Atlantic breeze blows compassionately in the 36-degree heat. “We are lucky enough to offer a setup no one else has,” Digital Content Manager Olivia van den Heever shares. This luxury lifestyle destination encapsulates the epitome of easy living. From the scintillating surrounding views to the high-end cuisine and refreshing cocktails, Shimmy has firmly established itself as a local favourite. Guests can feast on panoramas of both the blue waters of the ocean and the majestic backdrop of Table Mountain, all while sampling some of the freshest sushi in the city. “There are so many places in Cape Town doing such amazing things, so we keep pushing boundaries to stay relevant,” Olivia says. The beach club and restaurant has undergone a bit of a facelift in the past few months to prepare for the summer season but Shimmy is open all year. “We do cater a lot for the international market, but we want to be a go-to for locals as well,” she explains. 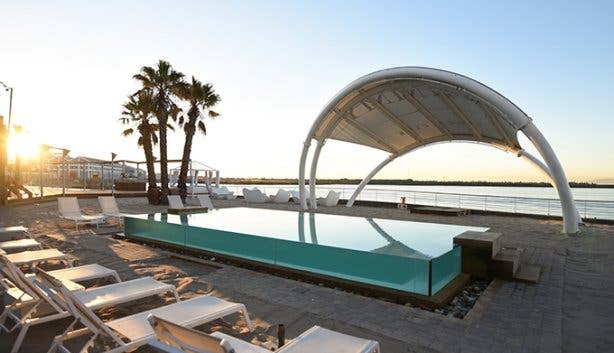 The beach club, which was voted one of the top 100 clubs in the world by the International Nightlife Association will go above and beyond to ensure that your time there is so memorable that you want to return time and again. 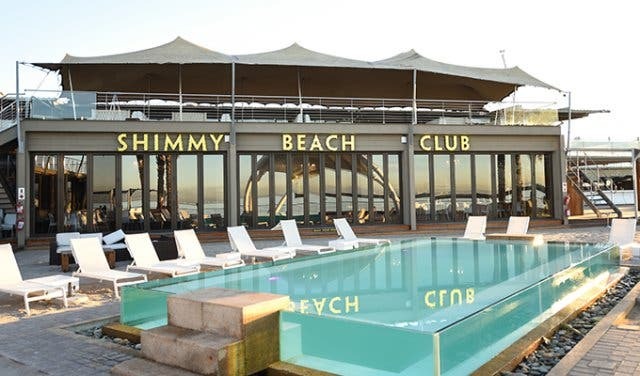 Shimmy offers a number of venues within the beach club. This means the beach club and restaurant can host various small events (think birthday lunches or dinners, office parties, bachelor(ette) parties) simultaneously. You’re sure to find a space within this picturesque palace of pleasure suited to your desires. 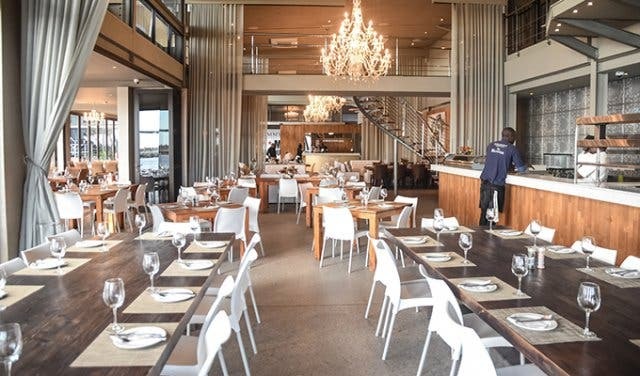 The main restaurant boasts a classy interior of oak wood floors, ash grey seats and starched white linen that can host up to 450 guests (the restaurant deck offers space for 100 more guests). The Shimmy Lounge can take up to 600 people, if you combine it with the Heineken Deck. The Pool Deck’s capacity is 800 standing guests, while the man-made beach can take up to 1500 people. The Whiskey Room and VIP Room can take 20 and 30 people respectively. The perfect playground for children too, Shimmy has a designated kids area to keep their busy bodies entertained. A jungle gym, ball pit, and arts and crafts station is captained by professional child minders. When the little ones have worked up an appetite they can tuck into one of the dishes on the kids menu. 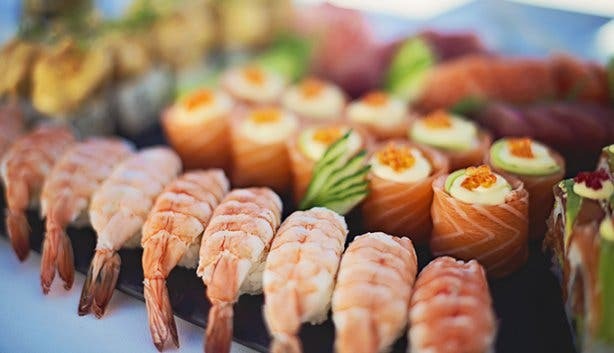 So whether you’re popping in for a power lunch, settling in for sundowners with friends, lounging through a lazy lunch with the family, or enjoying canapes and cocktails with your colleagues, Shimmy offers the laid-back, yet sophisticated, space and efficient service you need. Top off your relaxation with a glass of bubbly from the champagne bar to complete the experience. 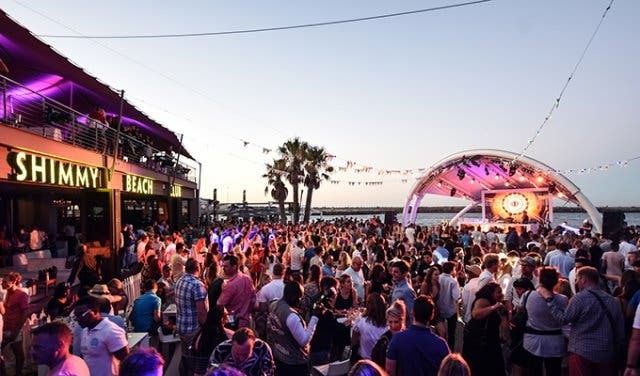 If your feet start itching and you feel the need to get up and move, you can boogie the night away to some of the best house beats on Shimmy Beach Club’s swanky indoor dance floor. 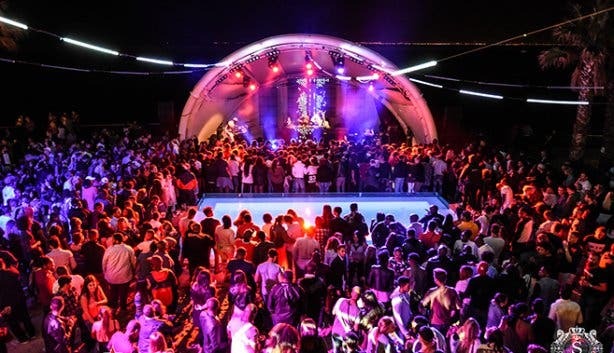 If you prefer the great outdoors, boogie beneath the stars on the DJ stage found on the man-made beach. 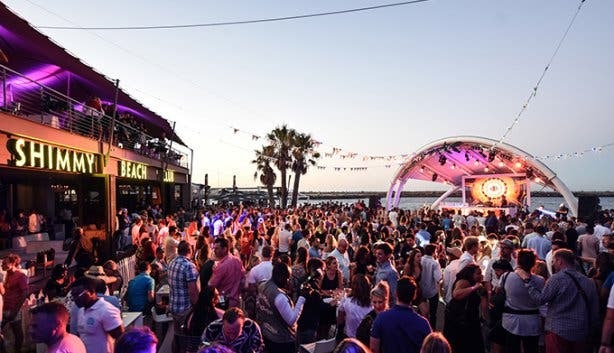 Whether you arrive by car, boat or helicopter (there’s parking for all three), this hotspot has plenty on offer for both the die-hard party animal and the laidback reveller. 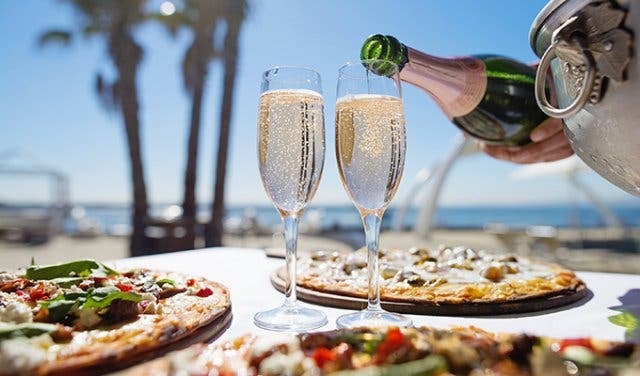 For those looking to enjoy an excellent meal, laze by the pool, or have an all-night jol, Shimmy Beach Club is the ultimate lifestyle location. 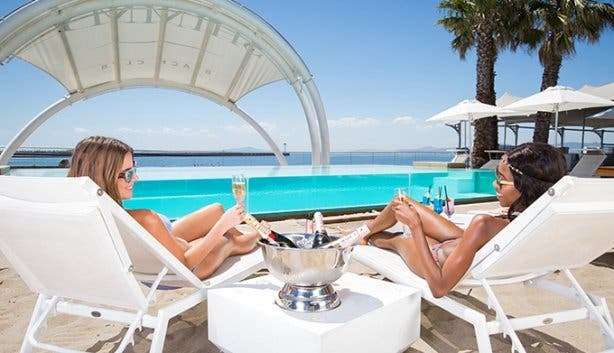 Shimmy Beach Club is hosting Sol Beer this summer. Read more about it here. 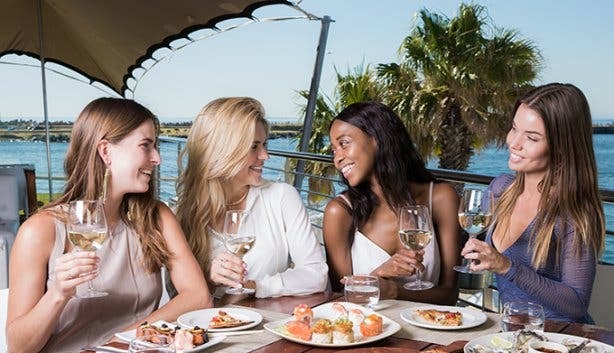 Check out our overview for other things to do at the V&A Waterfront, or for a meal at water’s edge, see our guide to restaurants at the V&A Waterfront. Also, don’t forget to follow us on Twitter, like us on Facebook, join our Google+ circle and check out our Pinterest boards for updates. Plus, subscribe to our weekly newsletter for news on what's happening in and around Cape Town.